Singaporean freelance graphic designer creates unique sculptures. SINGAPORE (THE NEW PAPER) - They were so realistic that some people thought she actually killed dragonflies to make the wings of her clay fairies. 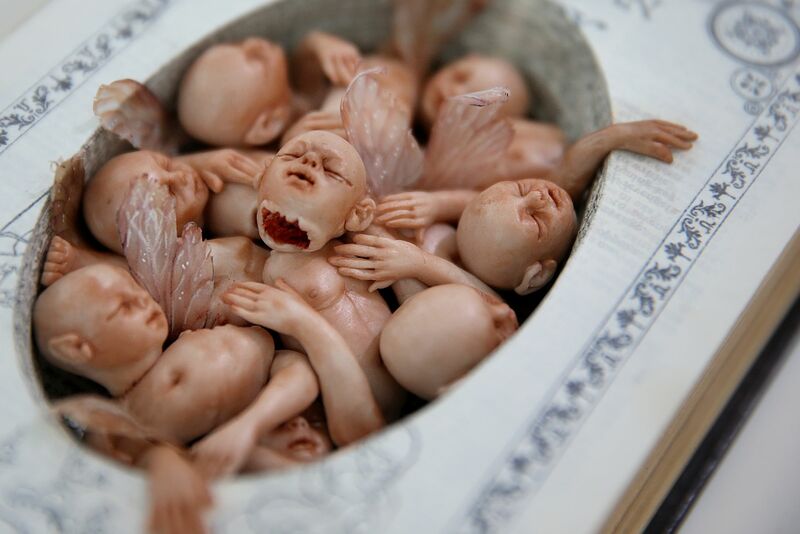 But polymer clay sculptor Lim Qi Xuan, 24, said: "I am not so cruel.'' The wings of the models were actually made from paper. Ms Lim achieved the realistic look after experimenting with materials such as paper, resin and paint. She enjoyed playing with model clay as a child but serious interest only began when she joined The Apprenticeship Programme organised by Noise Singapore in 2013. "I was encouraged to do something that excites me but couldn't pursue in school," said Ms Lim, who did visual communication at the School of Arts, Design and Media in NTU and graduated in 2014. As for the unique sculptures she makes, she says she has always been interested in "hybrid creatures and the tactility of flesh". "As much as my work freaks people out sometimes, they can always relate to them in one way or another. People associate my works with themes of mortality, or our relationship with other living creatures," said the freelance graphic designer, who tries to find time to sculpt once a week. Inspired by fairy tales, fantasy stories and science fiction, Ms Lim's delicate sculptures can take from one day to a week to complete. 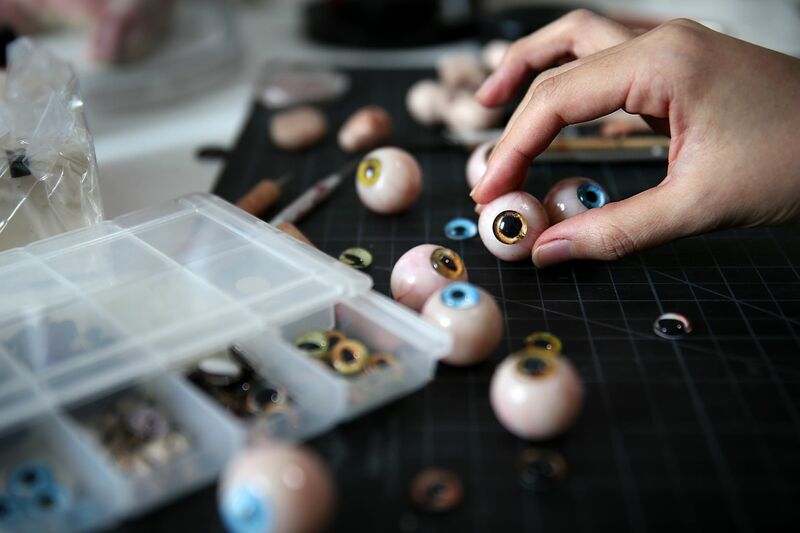 "As I am very particular about details I can spend hours obsessing over one small portion of the work," said Ms Lim. She said her parents were initially apprehensive about her work, but have now grown used to it. "Sometimes they still walk into my work space and question my liking for such morbid subjects," she said. Still, her mum has turned into an art critic of sorts. Ms Tan Ai Tin, 52, said: "She talks to me about her ideas so I know about it even before it is made. The first time I saw her work - a foetus - I was still criticising it on its lack of proportions." Madam Tan now thinks her daughter's work is special. "I think her work is ... different from works that I see around Singapore. Art is about finding that special voice that will stop people and make them listen to you. "I think Qi Xuan found that voice with her sculptures. She has a natural talent for sculpting, considering that she doesn't have any formal training or direct influences around her." But Ms Lim is as realistic as her sculptures. "I don't think my sculptures are the kind of works people want sitting in their living room," she said. Ms Lim has exhibited her work at several exhibitions, including the ArtScience Museum's Sunday Showcase in 2014, the Kult Gallery last year and at the Mulan Gallery last month.